The movers and shakers of the city of Lusaka are not the coffee-sipping wannabes that plague the ever mushrooming shopping malls or the smartphone-flashing urban young professionals that literally have their eyes glued to these mobile devices 24 hours a day. It is the street vendors, the call boys, the salaula (used clothes) traders, the youth pushing a wheelbarrow and the little girl selling fritters on the corner, they run this town. They are its heart beat; to listen to their loudness is to place a stethoscope on its pulse as well as observe the city’s very rhythm and this is what the snapshot painter Albert Kata does, and does so well. “There is a very good reason why I have chosen to paint daily life. 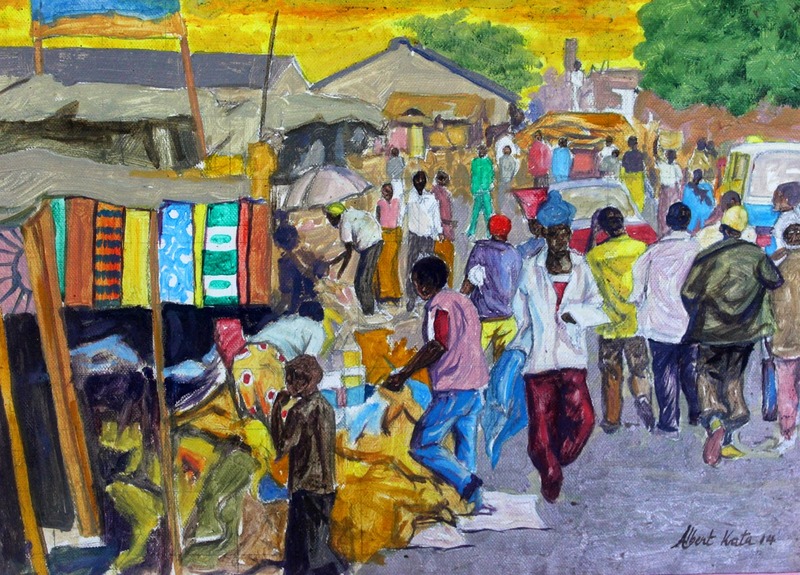 Everything comes to pass, nothing stays the same, so what I do is record, I keep memories, when I paint this street scene and you come back here after five years it will not be the same,” says the 53 year-old artist who lives and works from Kanyama where he oversees the Kanyama Art Centre within the premises of the Kanyama Youth Centre on Los Angeles Road just behind Lusaka City Market. Evoking watercolours, Kata’s paintings are slightly stylized realistic images that are brought to life by his impeccable mastery of the colour wheel; it is clear that he does it effortlessly and has been doing so for years. He also appears to do it with such a conviction that one might suggest he has a passion for the hustle and bustle of inner city and township life. “As you can see my compositions are detailed so obviously I have to work of photographs, digital images, but you have to be careful because the crowds can beat you up before they ask you where you are taking their photos. A good strategy is to tell a friend to pose then you use an angle that will capture the background,” he says. 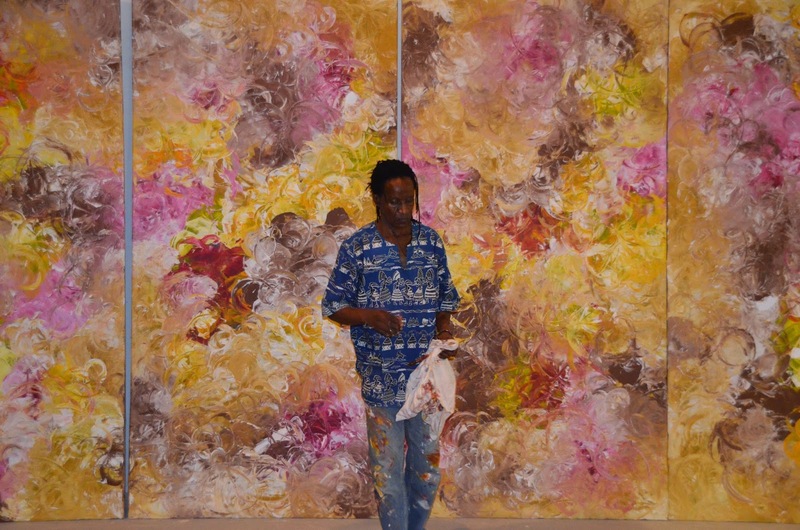 But although his work is vibrant and he is prolific in his work ethic churning out one painting after the other, resulting in stacks of the work, he says at times it becomes problematic when you make so much art because you end up with nowhere to take it, no matter how good the quality is. “The challenges we face as Zambian artists is the market, there are limited places to exhibit, and then also prices are too low. Look I spend two months on one painting for some of the work then they don’t appreciate the effort or the skill, so I’m thinking maybe I can start making small post cards, just for a little money when its dry,” he cries. “Since childhood I have never looked back. I went to Mindolo secondary but only up to Form 3, I left school in 1980 and started doing some sign-writing jobs around Kitwe with a few friends of mine, one of them was a safety inspector in the mines it was a very respected position but he also used to paint murals on the tunnel walls deep underground to warn miners against an underground cliff and so on,” he recalls. Because he was from a mining family, in 1986 he was forced to join the Zambia Consolidated Copper Mines (ZCCM) and undergo 6 months of training as a safety inspector, just like his friend, but still his heart was with art. He went home and told his parents that he had stopped work. They were not pleased so he decided to leave Kitwe and travel to Lusaka because he heard this is where artists were earning a decent living. After the death of Mubanga he made a new friend who used to visit his home for art lessons in John Lenge compound. 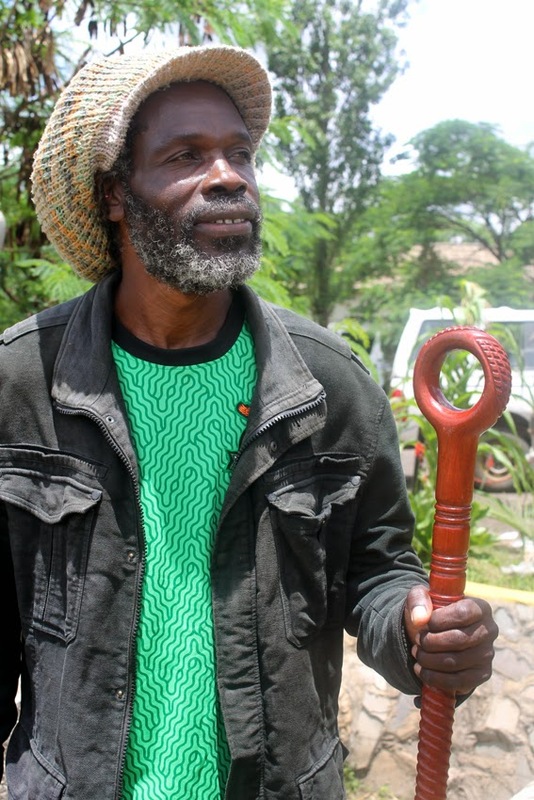 Before his death too, this friend introduced Kata to a Mr Kalitenta at the Kanyama Youth Centre where the latter was in need of someone to start teaching art. 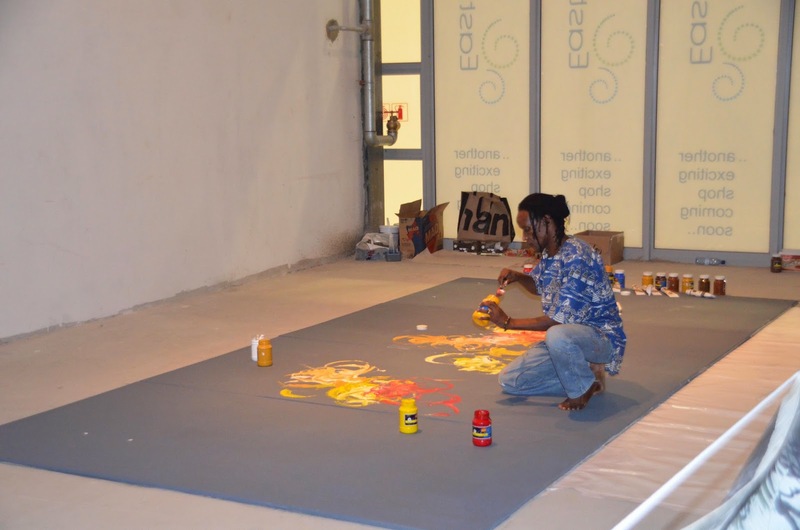 It is at this same centre where Kata would later form the Kanyama Art Centre, read about is next week and learn about the amazing work that the artist is doing against serious odds. South African artist, curator and art critic Dr. David Koloane received an honorary doctorate from Rhodes University in Grahamstown, South Africa last week for his outstanding contribution to the visual arts in his home country and beyond. Koloane, 76, who also received an honorary doctorate from Wits University in 2012, was among a few other notables that received the honours including Public Protector Thuli Madonsela and jazz legend Hugh Masekela. In an interview shortly after the ceremony, he shared what compelled him to become a practicing artist as well as a writer on the visual arts. “Well from early childhood I had a passion for books, my mother used to work in a local Crèche (day care centre) so she would bring reading materials but I also used to go to Sunday school and they will give us presents to encourage attendance, the first book I was given was an illustrated version of Robinson Crusoe,” says the artist who was born in Alexandra, a densely populated slum in Johannesburg that has been under constant threat of demolition for over 80 years “I didn’t even understand the story at first I was in love with the pictures, and I would copy them, making drawings of my own, because there was no one to teach me art, but also for the writing there is a teacher we had in primary school who was a story teller he would tell us stories and tell us to put them in writing as homework”. While still in high school, he was inspired by a close friend that won second prize in a nationwide art contest but this friend lost interest in school and dropped out, at the time young Koloane’s family moved to Soweto where he made another inspirational friend, Louis Maqhubela who was a student at the Polly Street Art Centre in Johannesburg. Maqhubela would become a lifelong friend, in fact it is he that introduced Dr. Koloane to the Johannesburg art scene in the late 1950s. “Louis took me to a gallery for the very first time, it doesn’t exist anymore but it was called the Adler Fielding Gallery and for the first time I saw a variety of work, sculptures and paintings, it was like opening a whole new window to me,” he explains “Of course there were gallery owners that could not allow blacks, this was at the height of apartheid, we were not allowed not even to peep through the windows, but there were those progressive gallery owners that wanted to defy the system by challenging the fact that there was no law that says you cannot show work by a black artists or allow blacks into a gallery”. Throughout its existence, the white-owned Adler Fielding Gallery defied the authorities and exhibited works by non-white artists and as early as 1964 the gallery went as far as showing black female artists such as the late Gladys Mgudlandlu which was unheard of at the time. In fact the gallery was so open-minded, in 1966, it was the venue for a show entitled Wood Sculptures from Zambia – which would later tour the US and Europe -- interestingly, this exhibition of over 200 carvings was shipped to Johannesburg with the full blessings of Zambia’s new president Kenneth Kaunda through the Directorate of Cultural Services and a Livingstone based company called Traditional Arts, Africa that was run by a Dennis Erwin. Notable among the participating sculptors was Samusompo Litingi, Rainford Sililo and Boston Kalenga. “The gallery started a competition called Artists of Fame and Promise where they welcomed all races this was already a problem with the authorities. But my friend Louis Maqhubela won it and got a trip to travel to Europe to visit historic places. He was the first black artist to do so and there was a lot of hostility from some of the white artists,” he explains. But in 1972, his friend Maqhubela left for London, England never to return and he has enjoyed a successful career ever since, living a full life with his wife and family. “Louis has only been back home a few times for weddings and funerals, but I always contact him whenever I’m in London like I did last year when I was having an exhibition of drawings and mixed media work at the Saatchi gallery,” he adds. Nevertheless, reminiscing on the early days of a writing career that spans over five decades, he recalls how he felt duty-bound to write on the visual arts during the apartheid era. “Over the years it had been white people writing about art, but I thought it was unfair because by who’s standards were they judging us. So I felt I should contribute to the debate by writing about black artists and the problems that they faced,” he explains “Also why were black artists’ work not at the level of the whites who had the opportunity to attend art school and travel overseas. For the black artists they could not even get into local universities first they had to write to the department of education for clearance”. Unquestionably this was a period when The Bantu Education Act, 1953 later renamed the Black Education Act, 1953 a segregation law enforcing racially separated educational facilities was in full effect. In fact, although Dr. Koloane would later attend apprenticeship at the Bill Ainslie studio in Johannesburg between 1974 and 1977 the closest he would get to formal tertiary education was in 1985 when he was awarded a Diploma in Museum Studies from the University of London and he was already well in his 40s. He was also concerned that only a hand full of black artists were being put on pedestals by white owned newspapers, so he tried to profile as many artists as he could, he especially enjoyed when newspapers such as The Sowetan came on the scene in the early 1980s and gave his writing a bigger platform. “Papers like The Sowetan would call me and say David write us a story, say on an artists who has passed away, and even me I phone them when I have something I have written and at times international magazines will contact me if they want local content,” who observes that when writing about artists that are certainly underprivileged, one must not be too harsh in their criticisms. “My writing is not acerbic, it’s about encouragement, if I write about an artist’s work, I will point out one or two shortcomings if at all there are any, I would say if he sorts out this and that his art will get to a higher level,” he says. 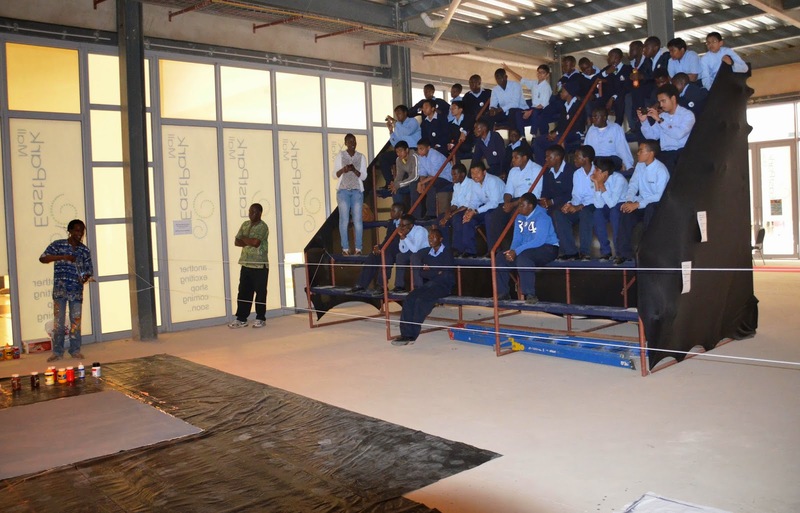 He remains concerned however that the Southern African Development Community (SADC) region still has no galleries in the townships, and people have to go to town to see art. Music and theatre, he observed, are promoted deliberately above the visual arts. “It’s an African problem, it needs a massive overhaul this is why we started the Thupelo workshops for instance, not just to train artists but also to sensitise people that artists are not rarefied specimens who live somewhere else, they are part of your community, you bypass them every day but don’t acknowledge them,” says Dr. Koloane. As an artist, Koloane’s work tackles social-political issues with a focus on township, inner city life and the dynamics of segregation. He has lectured in UK and the USA universities and played the role of external examiner for South African universities. He also has an annual award to his name for upcoming artists. In 1977 he co-founded the first art gallery in Johannesburg to provide a space for black artists, the Federated Union of Black Artists (FUBA) Gallery and became its first curator. In 1985 he partnered with the London art collector Robert Loder, and came up with the Thupelo Art Workshops and later founded the Bag Factory Studios to promote the development of young artists, over 200 artists from all over the world. He has been a key figure in the mentoring artists in the Loder-funded Triangle Art Trust and its network of international artists’ workshops that include Tulipamwe in Namibia, Pachipamwe and Batapata in Zimbabwe, Ujamaa in Mozambique, Rifiki in Tanzania, Ngoma in Uganda as well as Rockston, Mbile and Insaka in Zambia. Key Zambian artists that have been participants in these workshops are Zenzele Chulu, Lutanda Mwamba, David Chirwa, Godfrey Setti, Shadreck Simukanga, Friday Tembo, Stephen Kappata, Flinto Chandia, Tubayi Dube, Faxon Kulya, Style Kunda, William Miko and Adam Mwansa. 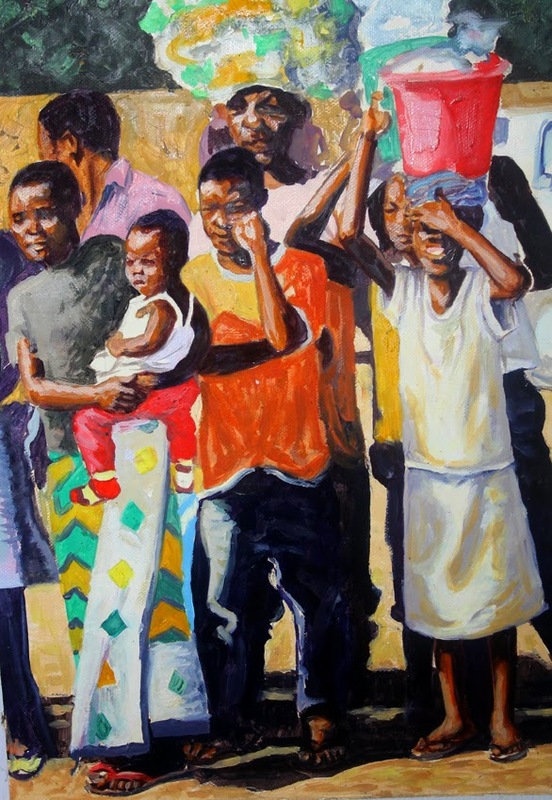 This year is seeing an unprecedented explosion of activity on the Zambian art scene as artists keep shining at home and abroad, there is no telling where it has all sprung from but one can argue that it has not been this vibrant in such a long time. 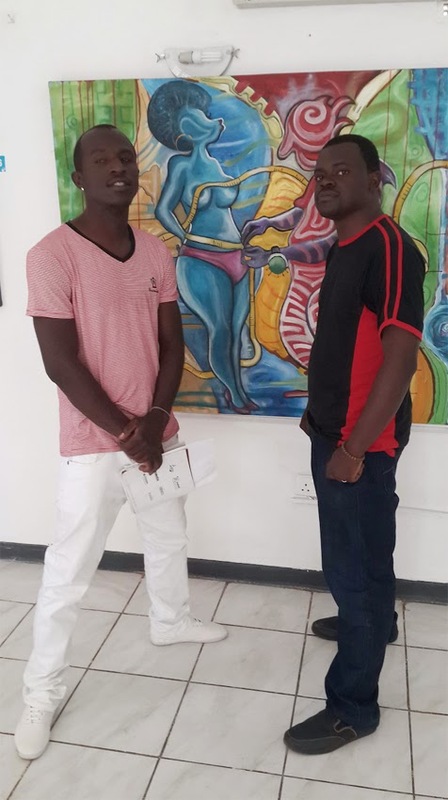 Not to be left out of the upsurge is Lusaka-based painter Vincentio Phiri – or simply Vincentio as he is fondly called -- a legendary figure in the genre of abstract expressionists in Zambia. His recent collaboration with Dutch art advisor and concept designer Camiel Van Lenteren can only be described as absolutely phenomenal, perhaps something never seen before on the Lusaka circuit, an exciting reminder that there is no fixed way of viewing art and the humdrum of a gallery is not the only environment where the display of art can be arranged. Entitled Omissions / Unit 43 Vincentio’s project is unique on three main levels. First, the artist himself has been active since the 1970s but arguably decided to take a low profile in recent years. Second, the venue, of course there has been one or two exhibitions at shopping malls in Livingstone and Lusaka, but this one was unique in that a single artwork took up an entire space. Third, the production of the work, this was done in full view of an audience complete with terraces and it was executed over a period of time. “My last solo was at the German Embassy in Lusaka in 1996. I didn’t intentionally avoid the spotlight but I felt I had a duty to work in the arts through Insakartists International workshop,” clarifies Vincentio on his perceived creative hiatus. “I didn’t come out of hibernation I’ve always been there; but working quietly”. 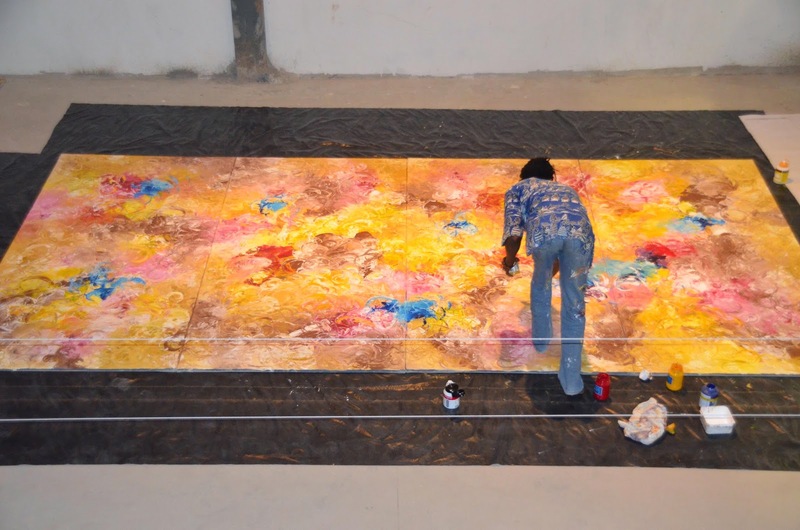 He explains that the just finished work was a huge project for him; it is 5 metres x 2.5 metres. One large piece done on four different panels and it is all about the act of not including certain things in one’s life that is why he calls the work Omission. “I’ve always loved working in primary colours but of late I’ve been struggling to work with ground colours I love to build with colour, the circular movement in my painting represents continuity,” he says describing his technique. The production of Omission involved live painting from February 27 to March 27 meaning visitors to the new, increasingly busy shopping mall at the University of Zambia along Great East Road were able to catch a glimpse of the artist at work, making it a performance piece of sorts. It was a rare opportunity for them to see in full throttle an artist who is usually enclosed in a studio. “I was working four days in a week from Wednesday to Saturday from 12:00hrs to 18:00hrs and would rest on the other days,” he explains “Working in front of an audience was not an easy task for me. I didn’t do performance art so you can imagine how scary the whole process was; but I treasured the experience. We made it a rule that while I was working I was not to be disturbed”. As for the audiences’ understanding abstract art, he explains that fully understanding it is not the question but the appreciation itself was enough and the general public was intrigued. 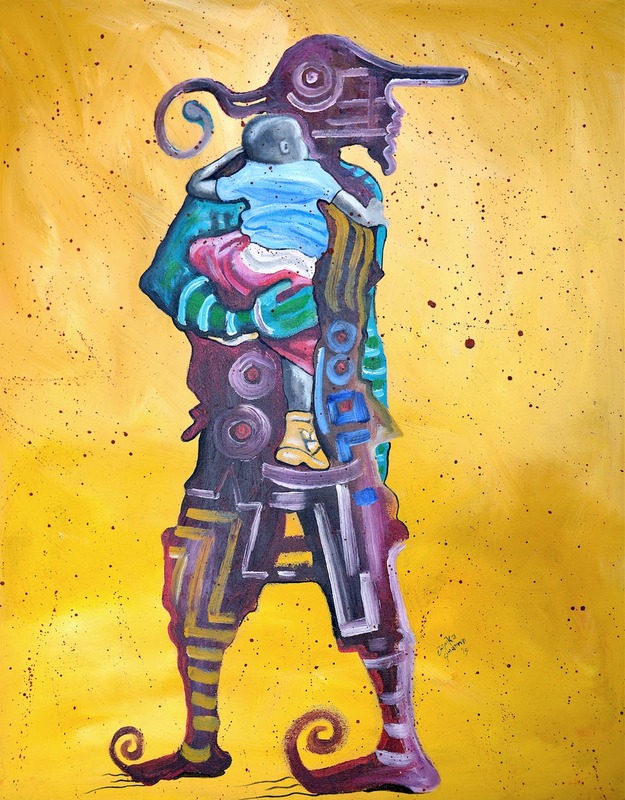 On the same subject of abstract painting, Vincentio was a protégé of the late Zambian master Henry Tayali, whom upon returning with a Master’s degree in art from the Staatliche Kunstakademie in Düsseldorf, Germany in 1975 took the young artist under his wing. Incidentally, in a review of Tayali’s 1993 posthumous exhibition for the Weekly Post, the late Trevor Ford (also a cartoonist known as YUSS) cited some of the artist’s influences to the rebellious Blaue Reiter group of German expressionist painters even though this is a movement that only lasted a short while, long before Tayali studied there. But then again Ford wrote, “Tayali remains Tayali, he looked, saw, and used – but did not plagiarise”. 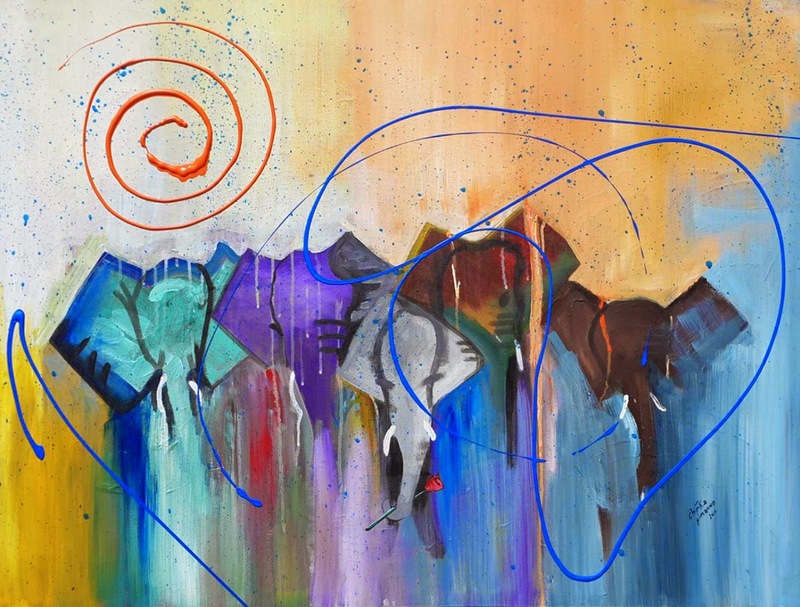 This is true of Vincentio too, he may have Tayali influences, but Vincentio remains Vincentio, his style is distinctive, made most evident in this latest piece that he started with swirls of split and complimentary colours that were later held together by vivid primary colours. “Henry Tayali was my inspiration; but he was not always nice to me. I was the helping hand when he did his painting work on the walls of the Germany Embassy in Lusaka,” he explains of his mentor, famous for a scorching temperament festered only by a zeal to sermonize art “But, the mid-1970s at the Art Centre Foundation Workshop this was my school and my foundation I learnt a lot and thanks to Gijsbert Witkamp, David Chibwe, Patrick Mweemba and Fackson Kulya”. 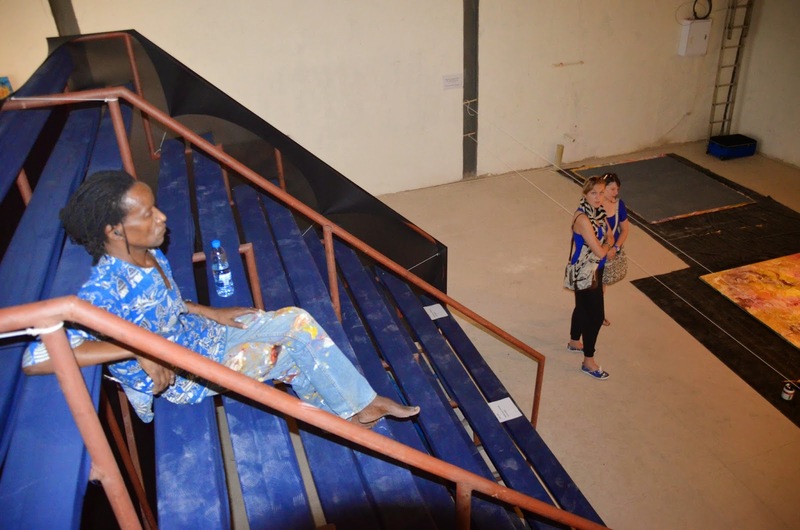 The Art Centre Foundation Workshop was a venture by the Art Centre Foundation, Zambia’s inaugural fine arts body ran by a board of trustees among them the late ceramist Bente Lorenz and Cynthia Zukas MBE, when it was formed in 1967 its elected chairman was Valentine Musakanya. The workshop studio was in premises loaned by the Evelyn Hone College, Vincentio was its youngest member. 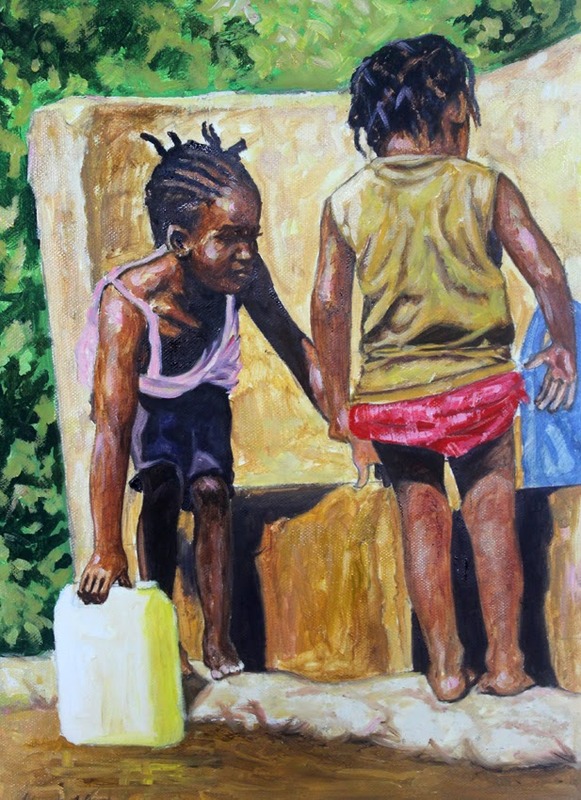 Born in Bulawayo, he moved to Zambia in 1973 and started painting in 1974 without any formal training whatsoever and decided to become a full time artist after much encouragement from Fackson Kulya whom he met during Kulya’s solo exhibition at the Lusaka City Library in 1973, a popular venue for exhibitions during that period, where Vincentio would later hold his first exhibition in 1974 at the age of 18. Nevertheless, back to the present, Omission can be seen at Rootz Design and Lifestyle, a shop that specialises in interior designs at East Park Mall where it will be hanging before his solo exhibition scheduled for later this year on a date to be announced. Between 1979 to date he has travelled to Kenya, Malawi, Tanzania, Swaziland, Mozambique, Uganda, Namibia, South Korea, England, USA, Germany, France and Japan to visit museums and art galleries, returning to most of these places several times. 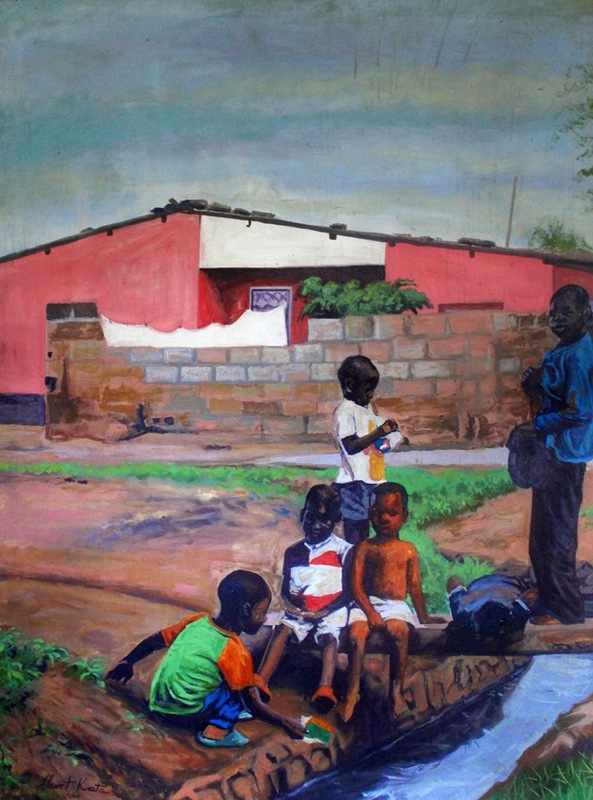 He has also had numerous solo and group exhibitions at home and abroad and his work features in several private and public collections that include the National Collection, Zambia, Barclays Bank Collection, Lusaka, Finance Bank Collection, Lusaka, Namwandwe Gallery, Chaminuka Collection, Mwelwa Chibesakunda Collection, Madison Insurance collection and The Post Newspaper Collection among others. Born in 1956, Vincentio is on the margins of 60 but does not look a day over 40, he is kind enough to lightly share with us his elixir to eternal youth. “I try to do a good deed every day and to send positive vibes that’s my secret of keeping youthful,” says Vincentio. In the interim, Van Lenteren, the Omissions / Unit 43 concept designer indicates that the project went beyond his anticipations. Van Lenteren, 41, who also had a stint as a contemporary art advisor in Indonesia has a Master of Science in Biology (ethology and behavioural genetics) from the University of Utrecht and a Bachelor of Fine Arts in Video, 3-D, 2-D and conceptual art from the Willem de Kooning Academy in Rotterdam is happy so far with the vibrancy of the Zambian art scene but is worried that it is not getting the adequate public and private support that it deserves despite a few business houses being enthusiastic. “I’m working on different projects and I hope they will be lifted from the ground soon and everybody in Lusaka and Zambia can enjoy,” he says. East Park Mall, The Art Shop Zambia Ltd., Rooney’s, The Red Carpet, Zebra Crossings Café as well as Rootz Design and Lifestyle were sponsoring partners of the project. When he held his first solo exhibition 1 Night Stand in 2008, Chipika Simanwe tested his limits and pushed his own boundaries by displaying his work in a very intimidating space, the Lusaka National Museum. A colossal space that is not easy to fill, neither with painting nor viewers for that matter not even by more experienced artists. In that show, he hung 35 paintings and only sold 5 earning him K15, 000 of which he still had to part with K4, 000 for renting the venue. He did not make a killing, but neither did he walk away empty handed if you do the math, better still he walked away with something more valuable than money, willpower. It is the same willpower that led him to Red Handed a smaller but more successful show at the Alliance Francaise in Lusaka three years later and this year, between March 20 and April 2 he staged Red Handed Too a sequel at The Spice, a restaurant off Chaholi Road in Rhodes Park which is a popular hangout for celebrities such as football star Christopher Katongo, singer JK and rappers Slap Dee and Macky II. In retrospect, Simanwe briefly share’s the planning, occurrence and aftermath of the show. “I am a person who loves to challenge myself with my art practice. My first solo was a very bold move, I do not regret it at all despite the low sales. I was learning the ropes and I still am. In Red Handed Too I managed to sell 18 out of 30 pieces (on opening night). For me, this only shows that hard work does really pay off. I have really pushed myself so hard and I am only seeing the fruits now,” says the painter who is also a full time Art Director in a leading media and advertising company. Although he has enjoyed a general increase in private collectors, he claims it is not unique to him alone as an artist. 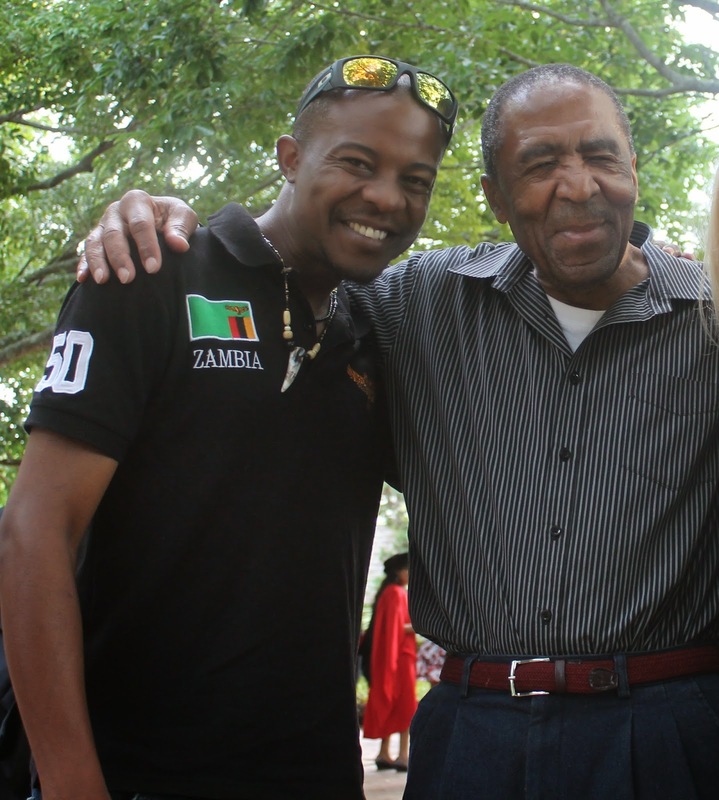 “There is definitely an awakening that is going on in Zambia and I’m just loving it. Gone are the days when only White people collected art. The majority of people that buy my art are indigenous Zambians and I salute them. 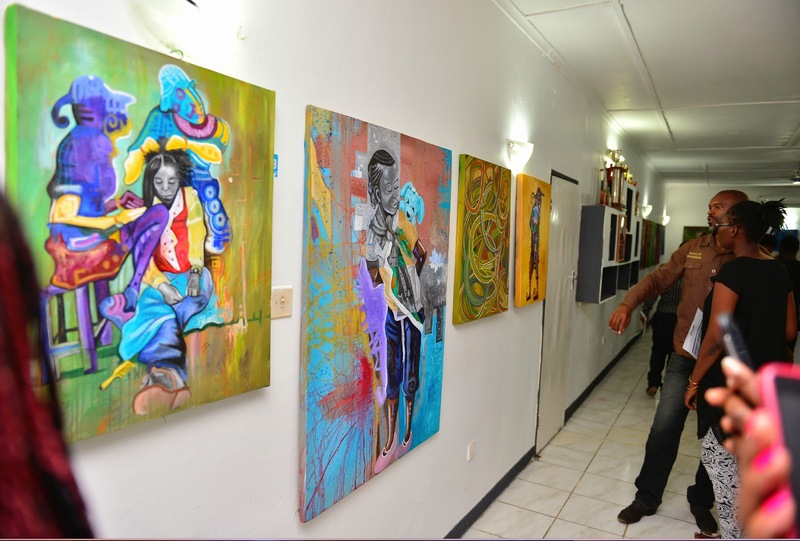 With the mushrooming of new buildings, I can only hope that more collectors will jump on the band wagon and give artists space on their walls,” he says revealing that broadcaster Inutu Himanje is one of his long time collectors. Reiterating on his choice of venue, he explains that exposing art to popular people gives the usually overlooked visual arts a higher profile. 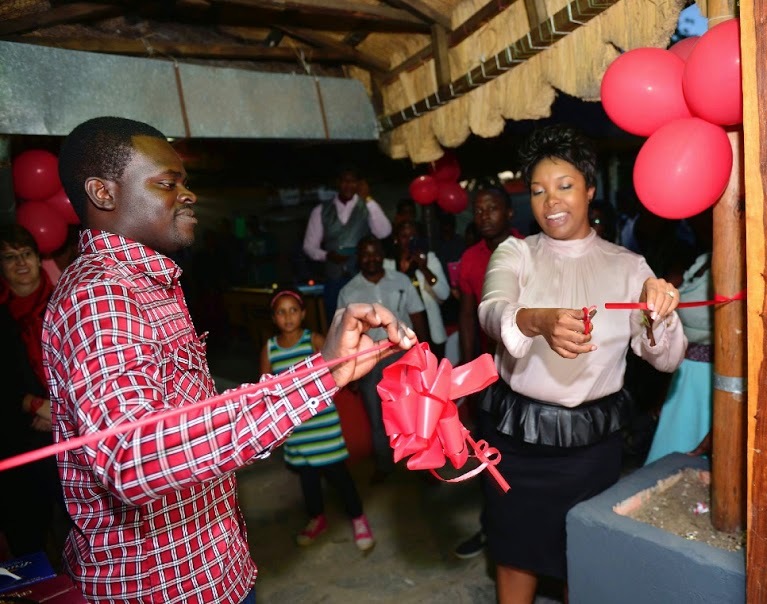 His opening night was a red carpet event, complete with the cutting of a red ribbon with Lucy Michelo CEO of Altitude Media on hand for that particular moment, while the master of ceremony was prominent public relations personality Kamiza Chikula. Also present was the Ambassador of the Russia to the Republic of Zambia Konstantin Kozhanov. “I really wanted to make this show very different from the shows I have had in the past. I did a lot of brainstorming alone and with some colleagues to make the opening night grand. The Spice Indian restaurant is a place where a lot of celebs come to unwind. That speaks volumes about the courtesy of the restaurant owner Pavan Kottari,” he says “Besides Macky II told me that he actually used to draw a lot at some point but switched to his Kopala Swag music. He was impressed with my work and said he might work with some of my ideas. Prior to my show, Pompi (a popular Zambian recording artiste) actually sent me a tweet saying he loved my painting Valley of Decision”. Simanwe’s recent work is mostly semi-abstract, and he explores a broad range of themes, the ones that stand out prominently are his examination of social issues as he humorously casts suspicion on male dressmakers and hairdressers. “My art has become very experiential. There is a market where I go to every month to have my hair cut and what you see in the paintings Hidden Agenda Salon and Tailored Thoughts are things that I observe keenly,” he explains. Hidden Agenda Salon probes the influx of male hairdressers from East Africa into Zambia, many said to have Masai origins, from whose rich culture they have lent their excellent hair plating skills into a money spinning venture, beautifying local woman. Simanwe questions the honesty of these hairdressers insinuating like the title of his painting suggests “hidden agendas”. Hairdressing can be a very intimate process, which is why these Masai gentlemen are also alleged to be smooth talkers who can get themselves into ladies beds with the same ease with which they plate their hair. Tailored Thoughts plays around with the same sexual innuendo except it explores how mail tailors seem to enjoy measuring the waists and upper-torsos of their female clients slightly more than they do the male ones. Nevertheless, it is clear to see that the artist is having fun, enjoying every moment of what he is doing, but besides the glitz of the opening event and the playfulness of some of his work, he is dead serious with what he does and every work has a deeper underlying concept not easily read at first glance. “The new abstract characters that appear in my work are called Robokishi. They are inspired by the Makishi, which I took some time to research on. I found a document on the internet by Victoria Phiri Chitungu very helpful. There are also traces of Adinkra symbolism in my work. Overall, Red Handed Too is a fusion of some old and new concepts,” he says. Overall, the show was an outstanding effort by Simanwe who managed to print a full-colour, 18-page catalogue to go with the event. Zambian artists often overlook the importance of exhibition catalogues ignoring their archival significance. One can argue the excuse of sponsorship for such publications is a tired one, for this particular exhibition, the artist managed to coerce The Spice, Juziel Digital Print Ltd, HK Media, Fortress, Prign Prints & Advertising Ltd, Balistiq and City Media Ltd. For sponsorship. In the catalogue he gives thanks not only to God and people who have supported him over the years but to his close family. “I mention my wife Bwalya in my thank you note because she has stuck with me through very difficult times in my life and has always been a source of encouragement. Last month in the month of March, we celebrated 9 years of marriage,” he says. Simanwe is the winner of several awards – particularly in the area of graphic design -- that include the 2014 Overall winner of Publicis Africa Group Greeting Card Contest, 2011 First Prize winner in ‘Healing the world through Music’ International Logo Competition, 2004 Runner-up in Visiting Arts Artist-in-Residence at Delfina Studios, UK, 2003 Second Prize winner in Eastern & Southern Africa Anti-Money Laundering Group Logo Competition and the 1996 First Prize Winner in World AIDS Day poster design competition under Ministry of Health – Zambia. 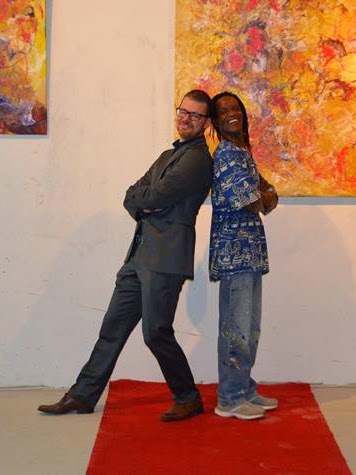 His International group exhibitions include the 2006 3rd International Rhodes Cartoon Exhibition – Greece, 2005, Japan Expo 2005 and 2003 ARTIADE – Greece whereas the local group shows he has featured in are the 2014 Lusaka My City, Mulenga Chafilwa and others at 37d Gallery, Lusaka, 2006 Selected Southern African Artists, Luanshya, Zambia, 2003 National Exhibition, Henry Tayali Gallery, Lusaka, 2001 National Annual Artist Exhibition, 2000 National Artists Exhibition, Henry Tayali (HTVAC) Lusaka and the 1999 Mulungushi Hanging (ICASA conference), Lusaka, Zambia. He was born in Lusaka in 1978, attended Kabulonga Boys High School, obtained a certificate in Graphic Design at the Evelyn Hone College in 1997, an Advanced Certificate in Multimedia and Web design Technology, Centre for Development of Advanced computing (CDAC) in Chandigarh India in 2006. Meanwhile, be sure to mark your diaries and calendars for Lawrence Yombwe and Adam Mwansa’s forthcoming exhibition Due To Popular Demand scheduled for Thursday 9th April, 17:30 to 20:30 at Zebra Crossing Café, Ababa House, off Addis Ababa Road in Lusaka.